The U.S. has a vast constellation of spy satellites in orbit. But these surveillance spacecraft have traditionally only been able to gaze down on a few small areas of the planet at a time, like flashlights probing the dark. And this, only with careful advance planning by human operators on the ground. America’s satellites helped monitor and map bin Laden’s Abbottabad, Pakistan, compound, but had to be told where to look by intel agents who gleaned key information from detained terror suspects and al-Qaida couriers they were tracking. The National Reconnaissance Office, America’s secretive spy satellite agency, wants to expand the current flashlight-like satellite deployment to a horizon-spanning, overhead spotlight that can illuminate vast swaths of the planet all at once. The agency also wants new spacecraft that can crunch the resulting data using sophisticated computer algorithms, freeing the satellites somewhat from their current reliance on human analysts. If it works as planned, missions like the years-long hunt for bin Laden could become a lot easier for the U.S. But that’s assuming the technology can be developed on time and on cost. A National Reconnaissance Office budget document for this fiscal year, obtained by Secrecy News’ Steven Aftergood through a Freedom of Information Act request, includes references to the technologies the secretive spy agency is acquiring today, and hopes to develop in coming years. Most of the details are blacked out in the heavily redacted, 450-page document. But “it is still possible to glean at least fragmentary insight into the current state of the NRO,” Aftergood wrote. That includes the technological aspirations of the agency, which employs around 3,000 engineers, analysts and technicians around the globe. 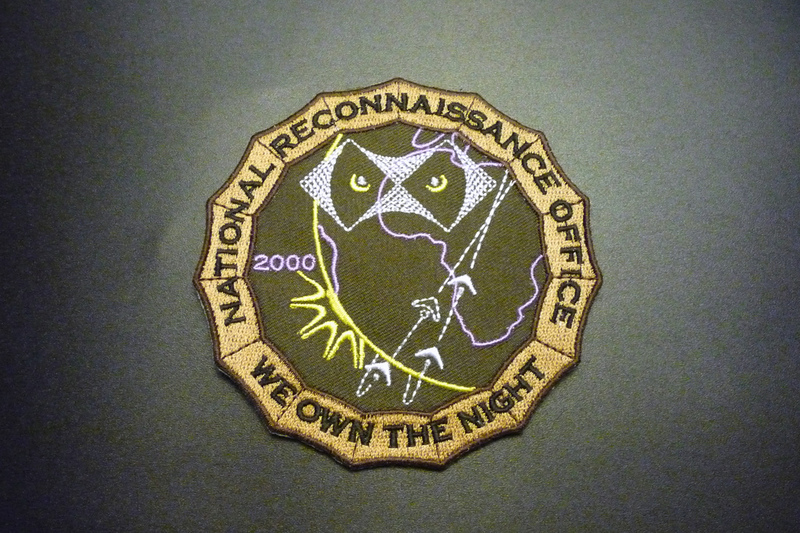 Since 1961 the NRO, headquartered in northern Virginia, has maintained round-the-clock orbital surveillance with a classified arsenal of satellites, reportedly including Keyhole camera-sats, downward-scanning Lacrosse space radars and signals intelligence spacecraft with giant arrays for sucking up communications from Earth. The only reusable launch vehicle in U.S. service today is the Air Force’s secretive X-37B Orbital Test Vehicle. The robotic, billion-dollar X-37B, built by Boeing, launches atop an Atlas rocket, can stay in orbit 15 months at a time while frequently changing orbits using its on-board maneuvering rockets, and lands like an airplane for refit and repair. The X-37B’s pickup-bed-size payload bay is just big enough for a camera or other sensor. According to the redacted budget plan, another NRO tech goal for 2012 is the deployment of a system able to “provide intelligence data to warfighters in the field using mobile devices.” The Army, Marines and Air Force already use handheld Rover terminals — devices like big, rugged smartphones — for downloading video from aerial drones. It’s not hard to imagine the NRO tweaking similar hardware for receiving satellite imagery relayed in near-real time from one of the NRO’s far-flung ground stations. This year the satellite agency is also aiming to “enhance the detection and tracking of maritime vessels.” It’s a task for which today’s sensors are probably adequate, but for which computer processing could need to be upgraded. Quickly sifting through massive troves of overhead imagery to separate the telltale signatures of ships from potentially millions of square miles of uniform ocean likely requires more computing horsepower than the NRO had available before now. The NRO’s longer-term technological ambitions are more grand. The agency wants to be able to “use multiple and different sensor types against the same target,” a goal that could require numerous satellites able to coordinate their orbits, each simultaneously pointing a different camera, radar or electronic eavesdropper at the same spot on Earth. That kind of “fusing” can “exponentially increase the value of the intelligence,” Scott Large, then-director of the NRO, said in his 2008 Congressional testimony. But that’s no simple task, according to researchers Thomas Schetter, Mark Campbell and Derek Surka, writing in the journal Artificial Intelligence in 2003. (That might seem like a long time ago, but new satellites take years to build and launch; as a result, today’s constellation is built on yesterday’s tech.) “The key technology that will enable multiple, distributed satellites to achieve their potential … is coordinated intelligent autonomy,” the researchers wrote. In other words, the machines need to be able to communicate fluently with each other as well as with their human operators on the ground. And they need to be able to make some decisions on their own regarding where to go and when. That kind of coordinated autonomy does exist … in the atmosphere. Last year the Naval Research Laboratory tested computer algorithms that allowed two aerial drones carrying different sensors to simultaneously scan the same target. The NRO could be eying a similar system for its next-gen satellites. Along those same lines, the NRO also wants future sats to “take advantage of massive data sets, multiple data sources and high-speed machine processing to identify patterns without a prior knowledge or pattern definition.” In other words, to do a form of thinking for themselves. But the agency’s tech appetite might exceed its means. The government has a poor track record of designing, budgeting for and managing its spacecraft. 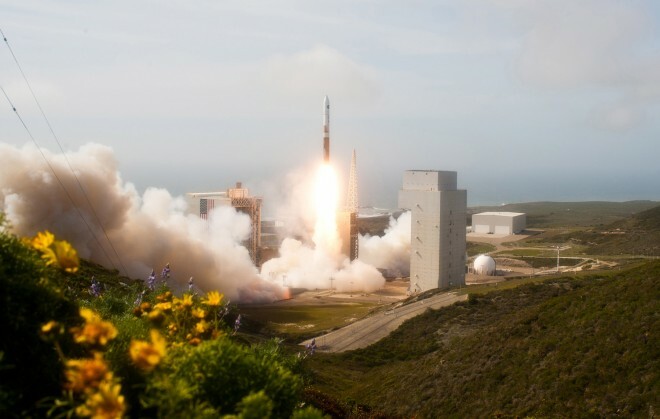 “Most of the Department of Defense’s large space acquisition programs have collectively experienced billions of dollars in cost increases, stretched schedules and increased technical risks,” the Government Accountability Office reported last year. And many of the military space systems that made it into orbit ultimately suffered mechanical problems. We know less about the NRO’s success rate because its systems are classified, but it’s reasonable to assume the satellite agency has fared no better. If the stars align and the NRO does get the new gear it wants, then America’s future spy satellites could be more numerous, autonomous, maneuverable and cooperative, smarter and much, much more effective — together forming a sort of high-tech, unblinking eye in space capable of finding and tracking terrorists, insurgents, enemy ships and, well, pretty much anything else on the Earth below.